The Women’s 2019 Six Nations fixtures have been confirmed with England playing three home games, including a first for the side at Sandy Park, Exeter. All five of the Red Roses Tests will be broadcast live on Sky Sports in the first fixtures for the side since turning fully professional on 1 January. The schedule replicates that of the senior men and U20 teams, with the Red Roses starting their campaign in Dublin where they take on Ireland on Friday 1 February (KO 5pm) before a return to Castle Park, Doncaster, against 2018 Six Nations title holders France on Sunday 10 February, KO 12.45pm. The Red Roses will play their first game at the Yorkshire venue during the Quilter Internationals when they take on Canada on 18 November. The Red Roses next travel to Cardiff to face Wales on Sunday 24 February (KO 12.30pm) before travelling to Exeter for the first time at Sandy Park on Saturday 9 March. 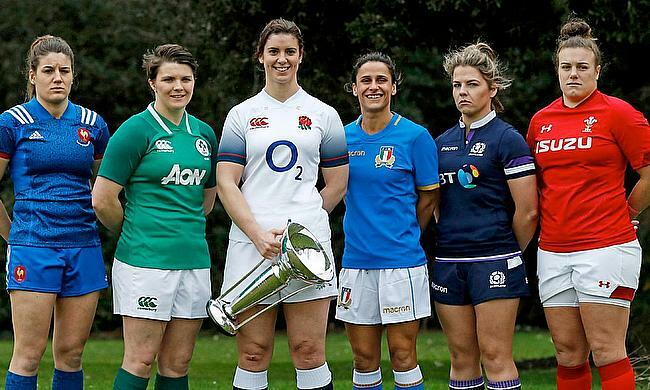 England Women Head Coach Simon Middleton said: "The Six Nations is one of the flagship competitions in the women’s game. “The arrival of full-time contracts in January will provide us with a great opportunity to build into the tournament. We look forward to playing three times in front of a home crowd, which always provides an extra advantage. "It’s great to be getting back out on the road and returning to Yorkshire as well as a first game in the South West of England. This is an opportunity to showcase women’s rugby in front of what we know will be supportive local crowds. Tony Rowe OBE, Chairman and Chief Executive of Exeter Rugby Club said: “To have more international rugby returning to Sandy Park is fantastic news not only for the club, but for the region as a whole. “Sandy Park has shown over the years that it’s a first-class facility when it comes to hosting international rugby and we have no doubt this will be another great occasion for everyone involved. Doncaster Knights Executive Chairman Tony de Mulder said: “I am delighted that a Women’s Six Nations fixture will be played here at Castle Park. The Red Roses finished second in last season’s championship, losing 18-17 to France in Grenoble, having taken the Grand Slam in 2017.